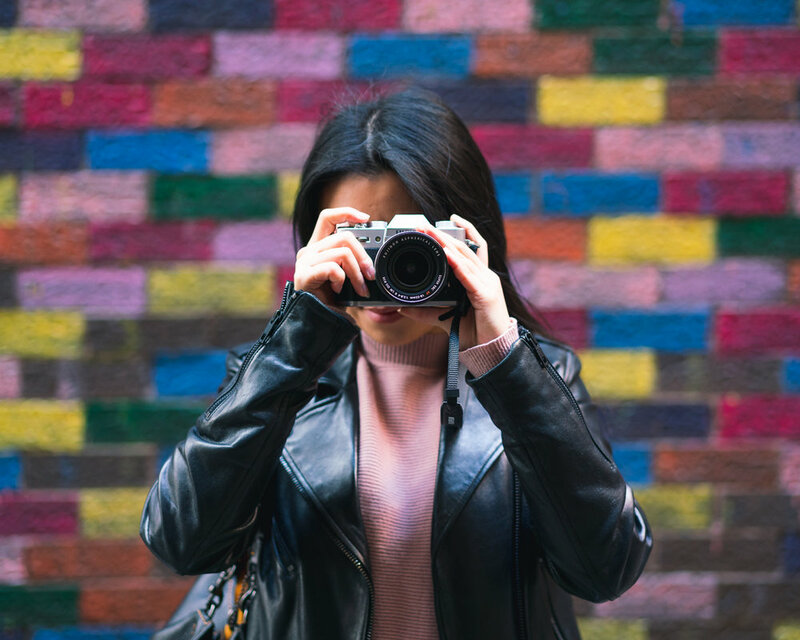 While most sane twenty-somethings would be slowly waking from a deep slumber—or those of any age, for that matter—Ivy and I are out the door, cameras in hand. We jump in the car and make our way to the local train station ahead of a day of photography adventures in the city. The sun shines down from a cloudless blue sky. Cherry blossoms are in bloom—creamy whites and pastel pinks—lining the otherwise dreary suburban streets. Despite Winter still determined to make its presence known most days, its grip is loosening. We’ve both splurged on new gear and are eager to see what they’re capable of. Ivy’s made her first foray into the daunting, yet rewarding, world of interchangeable lens cameras—a Fujifilm X-T20. It’s no Sony but has an undeniable charm. Its magnesium body with black leather wouldn’t look out of place in the hands of a 1970’s photojournalist. My Sony, on the other hand, looks less like a work of art and more like a tool of work. With its sharp lines and no-nonsense design, that’s quite alright by me. Today it’s sporting the Carl Zeiss 55m f/1.8—a lens I had been (not so patiently) waiting for stock to come in since mid-June. It arrived on Thursday and I’m eager to see what it’s capable of. We find a park, grab our cameras and I reach for my coat. I hesitate, basking in the sun’s warmth. I leave the coat in the car and we make our way to the station. We board, and with the low sun streaming across the carriage, I keep my sunglasses on—something one tends to avoid inside. But it’s bright, and (I think) I looked cool. So there they stay. Four stops in, I notice wispy clouds reaching across the sky. Six stops, and the solid bank of cloud becomes visible to the east. We reach the outer-city where the sun has all but been obscured by cloud. I look around. Not a soul is rocking less than two layers of clothing. I put my glasses away in defeat. As we exit Parliament station, the full extent of the fog reveals itself, blanketing the sky from horizon to horizon. I roll down the sleeves of my shirt and we briskly cross the road to the Treasury Gardens. Four seasons in one day, indeed. Leafless trees line the garden paths. 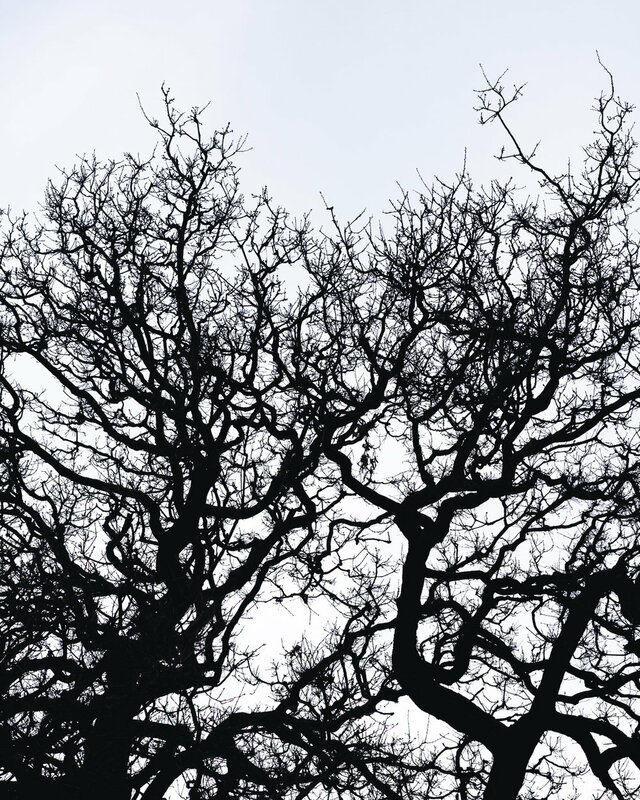 Like skeletons, their array of branches extend up towards the bone-white sky. Soon their leaves will return, but for now they’re mere shadows of their springtime glory. We cross into Fitzroy Gardens. A 26 hectare expanse of well-groomed gardens just a moment’s stroll from Melbourne’s CBD. And while the lush greens of spring were still weeks away, our main attraction was at its peak—rows and rows of golden daffodils lining the criss-crossing avenues of trees. Amongst the leafless trees, the daffodils spring from the earth—the first brave combatants to check if winter has retreated. They are a splash of colour against the monotone tones of browns and are a photography magnet, for us and the other early risers strolling through the gardens. All things considered, the morning fog provides even lighting conditions all round. While this softer form of light doesn’t make for bold landscape shots, it’s perfect for outdoor portraits and nature photography. It’s time I had a new profile shot for my portrait work. I ask Ivy to take a few shots by the daffodils where I attempt my best ‘Green Steel’ pose before we move on. 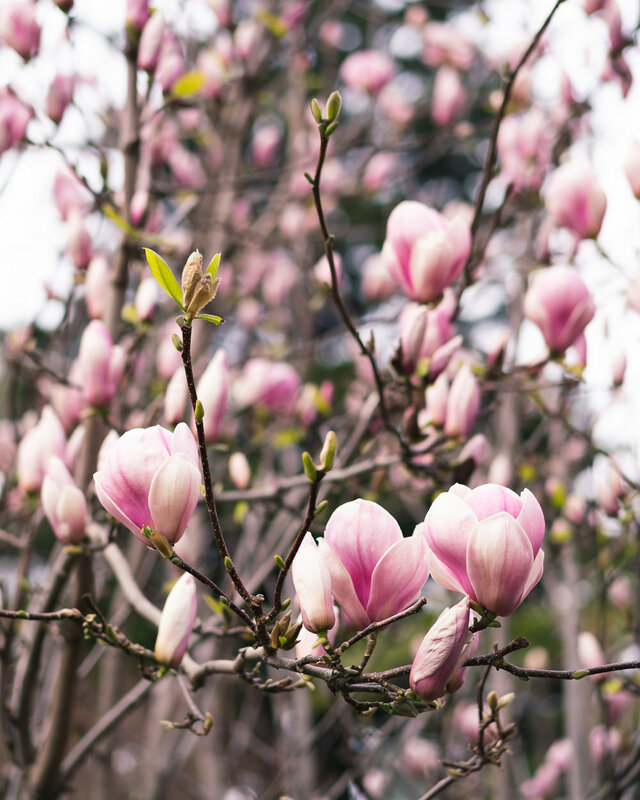 We wander along the criss-crossing avenues of trees, stopping to capture the early arrivals of spring—budding magnolias, sprouting bluebells and the garden’s many daffodils. Ivy runs off to capture a flowering Camellia. It’s easy to tell she’s smitten about her new purchase. One day in and she’s already mastering manual mode, controlling shutter speed and deciding on an appropriate aperture like a pro. It’s now past 10am and we’re without our coffee fix—a weekly Sunday morning ritual. With no cafes of note nearby, we eye off the kiosk/cafe attached to the garden’s visitor centre. On a given Sunday we tend to steer clear of such establishments without doing extensive prior research (and by research I mean scouring their Instagram feed). Yet because we felt generous—or rather, delirious, due to the lake of caffeine—we step inside. A dedicated barista, complete with overalls (tick) stands behind the La Marzocco coffee machine (tick) confidently crafting coffees for the half dozen patrons. We place our usual orders (a soy latte for Ivy and an extra shot flat white for yours truly), receive our order number or our order card (the Jack of Spades) and stand back. We grab a table by the open window with views of the surrounding gardens. “Jack of Spades”, is called from behind the machine. Bringing back our two cups of liquid gold, I go first. Not bad. Not bad at all. Ivy approves too. We enjoy a moment’s rest as Ivy transfers photos from Fuji to iPhone. We take our coffees with us and return to the gardens. The morning fog has lifted and I can confidently roll up my sleeves once again. Take that winter. 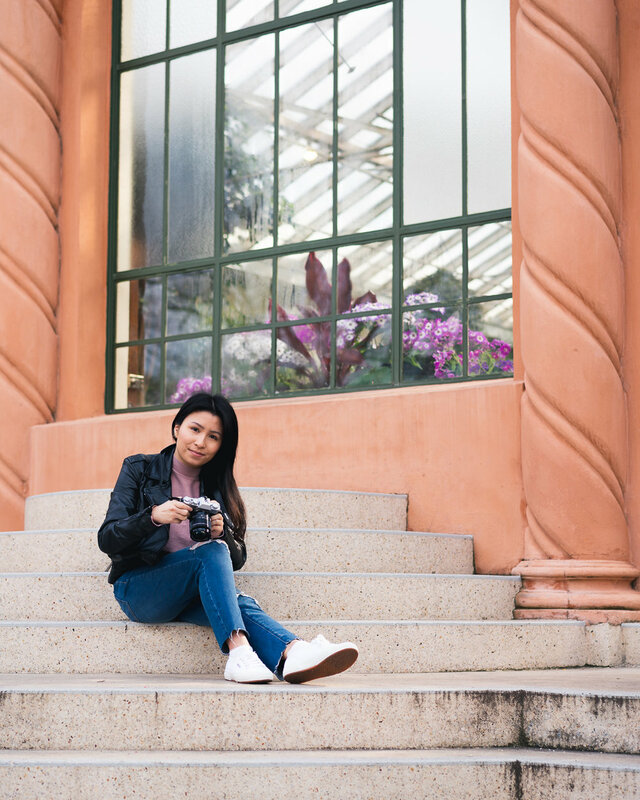 We venture towards Fitzroy Gardens’ The Conservatory—perhaps a top five Melbourne location of ours. Inside, it were as if the local gardeners had turned the saturation slider all the way up to 100. An explosion of colour envelops us—from carefully manicured garden beds to drooping baskets strung to the ceiling. Despite the rarity of colour outside, in here it’s spring all year round. With the air thick with humidity, we wade through the pebbled paths, accompanied by the muted strains of classical music playing over the hidden sound system. Returning outside, forty or so disciplined Melbournians form rows of human statues on the lawn. The slowly-shifting poses–each one practiced and precise—ripple backwards through the group, extending now to eager onlookers who join from a distance. With a solid bank of photos captured—and the gear having impressed on both fronts—we wander back through the Treasury Gardens, towards the grid-like CBD of Melbourne. Turning our attention away from the manicured flora to the unpredictable pursuit that is street photography. Despite the midday sun, we work with the city’s ever-changing interplay of light and shadow, lines and colour. We stroll down graffiti lined alleyways and turn our gaze upwards upwards to the towering textures of the city overhead. On the train ride home, Ivy reviews her captures. Nursing the camera in both hands, she’s eager to show me her pick of shots, zooming in to see all the detail. She’s hooked now, I think, I’ll have her using Sony within the year.